What Color Should Urine Be? According to some researchers, the color of urine matches hydration levels in humans . Therefore, it has been proposed that urine color could be used to determine our individual hydration levels. So what color should urine be? Recommendations for the color we should aim for seem to range from clear urine, to pale yellow, to straw-colored. But who is right and what is actually healthy? This question could be relevant to those of us who suffer from bladder problems, especially overactive bladder (OAB). 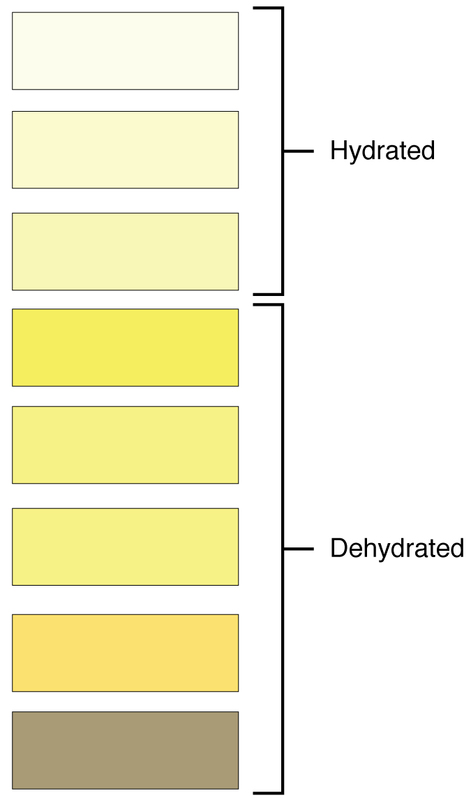 The researchers Armstrong et al have formulated the ‘urine color chart’ with 8 different shades of yellow. According to a recent analysis , these colors match fluid intake – the higher the fluid intake, the paler the urine. Notice that clear urine is usually deemed to indicate good hydration levels and that the broad spectrum of colored urine is supposed to indicate dehydration. To determine hydration level, the color of urine was checked against urine volume and specific gravity (a measurement for urine concentration). However, the report does not set a specific gravity that we should aim for. It only mentions that recommendations for patients with recurrent kidney stones would be below 1.010 and that dehydrated elderly people often have a specific gravity of 1.017 . A different recent study on hydration reported a specific gravity of 1.016 for properly hydrated (euhydrated) women and 1.018 for euhydrated men . There seems to be no set conclusion of a target specific gravity and therefore it would be hard to define the target urine color that corresponds to it. 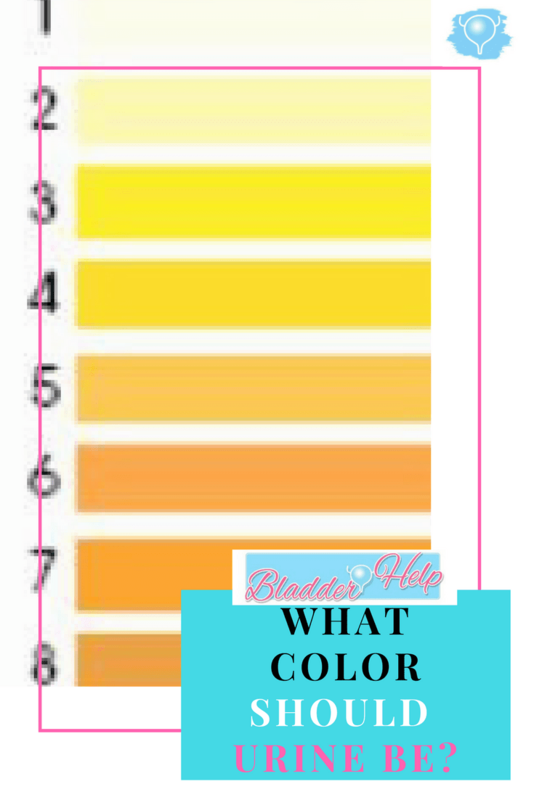 The urine color chart also has mainly been studied for acute dehydration and ‘sedentary adults in normal daily living conditions’ , so it may not be relevant for everybody. In fact, urine color does not seem to correspond well to hydration status in the elderly . So basically what this tells us is that urine color becomes clearer when urine is diluted and darker yellow when it is more concentrated. It doesn’t really tell us which is best. Also, once urine is diluted and clear we would not be able to determine further dilution – with the potential of over-hydration. Therefore I always like to take look at animals – because they usually just follow their instincts/hunger/thirst instead of official recommendations. And Ta Da – animal urine is normally yellow! Ever seen a dog pee on snow?! Don’t eat the yellow snow (as Frank Zappa used to sing). It was Matt Stone, author of ‘Eat for Heat’ who made me think about the color of urine. He indicates that urine color should be yellow (about a 4 on the urine colour chart) and a normal specific gravity range is 1.012 to 1.030. In the recent study on hydration that I mentioned before, properly hydrated participants had a specific gravity around 1.017, which matched a yellow urine color. Overly hydrated participants had a clearer urine color and dehydrated individuals had a darker urine color. So to make a long story short: straw-yellow (number 4 on the urine color chart) is probably the color to aim for.